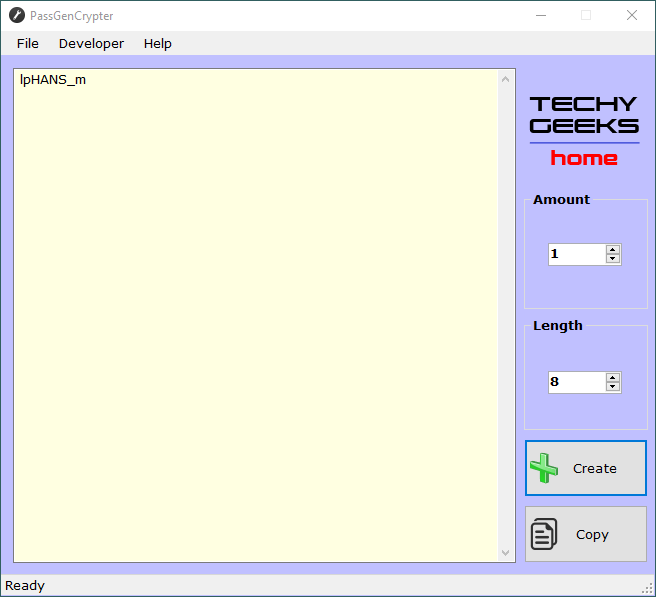 With the ever increasing requirement for stronger passwords, you can use this very simple utility to generate complex passwords with ease. You can select how many passwords you want to generate allowing up to 100 different passwords. You can also select the length of your passwords also up to 100 characters. The utility will also then allow you to copy the generated password to your clipboard so that you can easy paste it when required. The download package includes the utility as a very easy to use standalone executable file but we have also included a MSI and EXE installer if you would like to distribute it using Group Policy or Configuration Manager. This utility is completely free to use for personal and business use. This page was last modified on 1 October 2018, at 16:22.